Okay, so I'm a huge lover of dystopian novels (I mean, duh). I've heard a few people out there saying that dystopian is dead, or that publishers aren't looking for dystopian anymore, etc. etc. 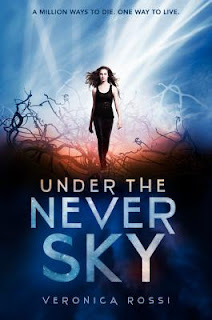 UNDER THE NEVER SKY by Veronica Rossi: This book just came out in January, and you seriously need to get it. The world-building is fan-freaking-tastic, and the romance... Let's just say my 13-year-old son had no trouble stomaching it, and he really liked the book. PRIZED by Caraugh M. O'Brien: I know, I know. I've sang the praises of BIRTHMARKED and PRIZED from here to the moon. But seriously! I do not think enough people read these books. And they are brilliant in a way that nothing else is. 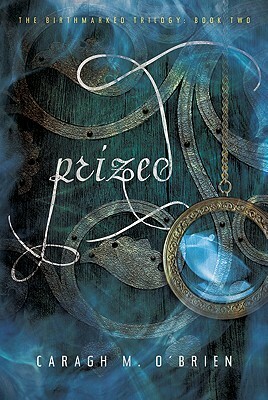 A bit about Prized: Striking out into the wasteland with nothing but her baby sister, a handful of supplies, and a rumor to guide her, sixteen-year-old midwife Gaia Stone survives—only to be captured by the people of Sylum, a dystopian society where women rule the men who drastically outnumber them and a kiss is a crime. I mean, a KISS is a CRIME? Like I said, you really need to read it. So what have you read recently that you loved? What are you wishing would hurry up and get published already? I loved Under the Never Sky and Pandemonium. 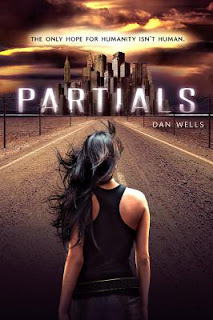 I really want to read Partials and Prized sounds good too. We're waiting for Surrender and Insurgent at my house. I write dystopian fiction for adults and I've just started reading this blog. I wasn't aware that there are so many YA dystopians. I'm going to have to dig in. So far, I've only read Divergent and Hunger Games Trilogy. 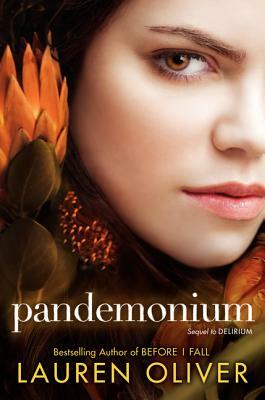 In your opinion, do you think that teenagers will continue to read dystopians as they mature into their twenties? My book's target audience is mid-to-late-twenties and beyond. I wish you all great success. Dystopians rock! Ship Breaker by Paolo Bacigalupi is so very awesome--one of my favorites so far. I love how so much of the YA stuff pushes the creative envelope, and trys (and succeeds) not to cover the same old topics. Divergent is a must read for dystopia! Dystopias are already on the way out? So what's the next big trend?